Factory Products, Replacement 9.5 Inch Smokey Dark Gray Electra Glide, Street Glide Windshield Fits .. 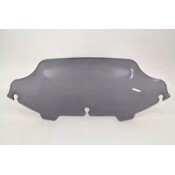 FACTORY PRODUCTS WIND SPLITTER 6.5" dark smoked wind splitter windshield for the Batwing fai.. FACTORY PRODUCTS WIND SPLITTER 6.5 inch dark smoke Harley Batwing Fairing Windshield 201.. 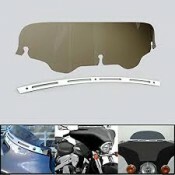 Factory Products Dark Smoked 4" FLHTC Bagger WindshieldFits 1996-2013 BAT WING FAIRINGS Trim So.. 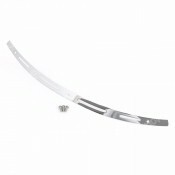 Factory Products slotted chrome plated wind shield trim fit 2014 later FLHTCBatwing Fairings .. 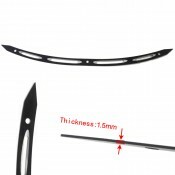 Factory Products slotted black wind shield trim fits 2014 later FLHTC.. Factory Products chrome plated slotted fairing trim 96/2013 FLHT.. 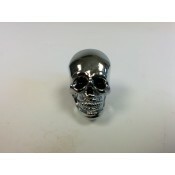 Factory Products black slotted fairing trim 96/2013 FLHT..
Chrome Plated 3 Skull License Plate Frame a must for any H-D ..
Chrome Dye Cast Skull Ruby Eyed Krommets 5/8. 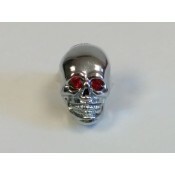 All Studs Sold Individually ..
Chrome Dye Cast Skull Black Eyed Krommets 5/8. 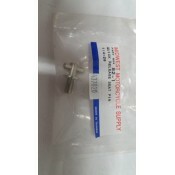 All Studs Sold Individually ..
TOUR PACK BACKREST PAD FITS 2014-LATER KING TOUR PACK BR10014JOEM REPLACEMENT 52300312 .. 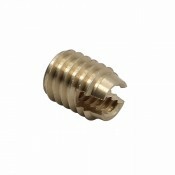 These are the same exact size replacement Brass Inserts Part #16585-96. 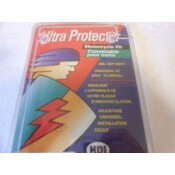 These inserts are used for H..
Quick Release Seat Pin 1/4-28..
HDI Ultra Protector Motorcycle License Plate Cover will not rust! a universal fit, that's easy..